Your Next Stamp March New Release! Hello! It's New Release Day at Your Next Stamp! You can find all of the Design Team projects on the Your Next Stamp Blog this month. Also, if you leave a comment on the YNS Blog you could win a Stamp Set of Choice!!! For my project today, I used the new set Magically Delicious! This set is soooo super adorable! My daughter needed a good luck card to give to her gym buddy for state this weekend and this set was perfect! I colored the image with Copics and used some Simple Stories A Charmed Life dp. 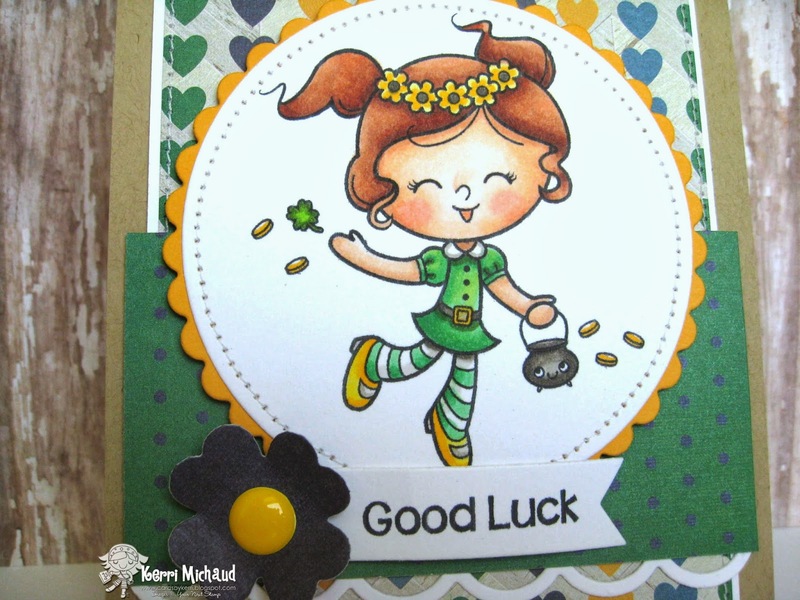 I cut the sentiment out with a YNS Fishtail/Banner Die and added the clover flower that I cut with a die from the YNS Whatnot Seasons Set One Die Set. For the center of the flower I used a YNS Lemon Gumdrop. 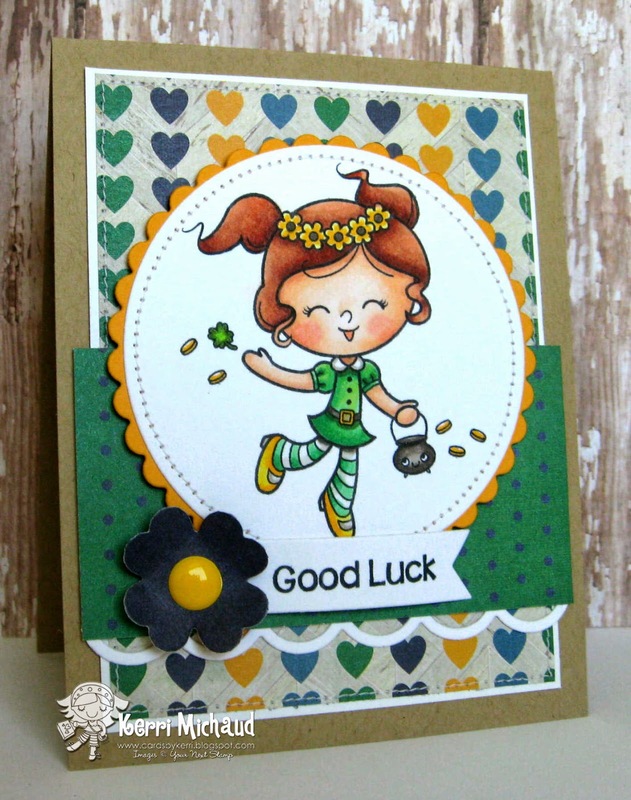 I also added a scalloped border using one of the Must Have Borders Die Set One dies. Karen is also offering a special new release discount at the YNS Store! Head on over to the Your Next Stamp Blog to see the rest of the new release projects and then have fun shopping! Thanks for stopping by and have a wonderful weekend!